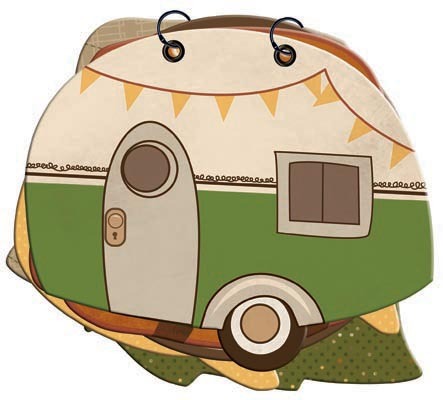 This fun outdoors line will surely make you want to Camp-A-Lot!! Is it summer yet?! Well, there's our spring release! Do you want to go camping or hiking now? Which line is your favorite? Leave us a comment for your chance to win some Camp-a-Lot! Fireflies, starts, stripes, sticker raccoons! C'mon now, Bo Bunny. I can't handle all this cuteness. 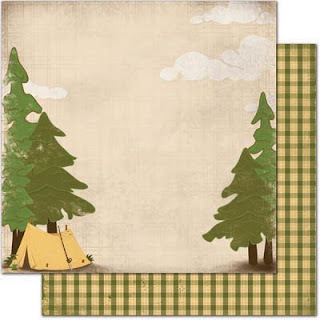 My son is in Scouts and I have bought the Roughin' It collection several times to scrap all of the camping pictures. Camp-a-lot is as awesome and I predict I will buy several times (so winning would help!). This collection is super druper cute! It will be very good to use after the summer holiday! Love the camping theme. I have a ton of camping pictures that this collection is perfect for. Thanks Bo Bunny!! Perfect timing since we just booked our summer vacation by the lake lastnight. I love the polka dot paper and the jar with the little lightning bugs. I love it all!! What an adorable collection! I love the jars of fireflies! I'm in love with this line!! It's just right what I need! I enjoy camping so much and now I can add my photos with really great collection! So cute! I always look for papers to scrap nature! Nice outdoor line that could be used for multiple subjects. I love the polka dot paper and the jar with the little lightning bugs.Thanks Bo Bunny!! Thanks for the chance to win!!! Love this! Doesn't necessarily need to just be for camping either...most of those papers have both sides that are usable for just about anything and those that look more campy, the B sides are pretty versatile! Would love to win this, thanks for the chance! So cute! I love the outdoor colours - also great for hiking and fishing pictures. The fireflies are adorable! Oops - that was my comment above - didn't mean for it to be anonymous! LOVE the fireflies!! All of the designs are awesome!! This just went on my birthday wishlist! Do you camp-a-lot? Oh yes! I have a pile of camping photos to scrap and we are off again soon. 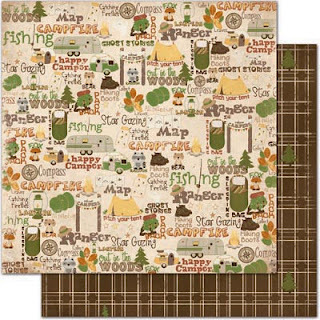 This collection is wonderful and perfect for scrapping all those fun camping moments. Soooo cute!! I love the Trinkets!! So cute!! 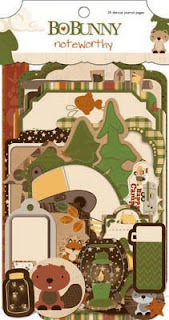 I especially like the little album with a retro camper! Can't wait to get it all in my store! This is by far my fave bobunny collection EVER!!! We do soo much camping and those little pieces are so cute. I was planning layouts as I scrolled down the page, lol!! We do alot of camping and this line would be just PERFECT! Thanks so much for the chance to win! Great line. Love the brads and buttons. I haven't been camping in ages! This gives me an itch to sleep in the great outdoors. OMGosh! I so totally LOVE this line! 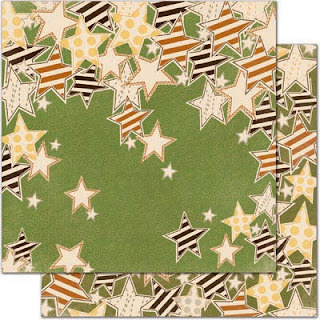 Love the fireflies and the stars and everything!!! So fun! Love the patters of all the papers. Nice colors too. Thanks for the chance to win! oh my goodness!!! WE ARE HUGE CAMPERS... and this is the perfect LINE!!! I LOVE LOVE LOVE it!!! 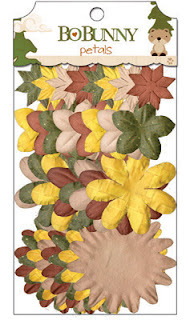 You just makin' it harder for us to exercise self-control... love the line, the colors and the embellishments too! Nice earthy colors! I think my fav this week was Hello Sunshine. It has to be this one as it is just PERFECT for all my camping photos and I love those designs. I just fell in love!! 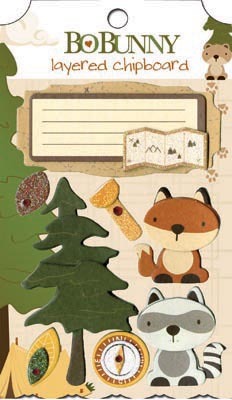 I adore this paper the cute animals and the little fireflies!! Oh please pick me!! Oh my I just love this line. We are big campers and I have lots of pictures to do yet. Bo Bunny is my favorite and this just proves why. See you at scrapfest again. Oh I want this! I had so much fun with your camping collection from a few years ago I'm sure this will bring as much fun too! This is my FAVORITE new BoBunny line! 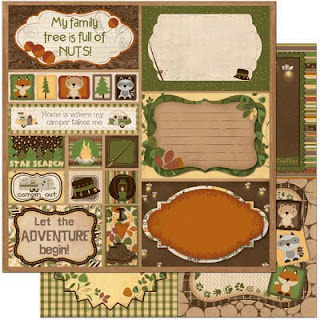 Probably the best outdoor/camping themed scrapbook items I have ever seen, without a doubt! Lovin this! The colors are perfect and you've got the right mix of cute and classy embellishments. Yes! 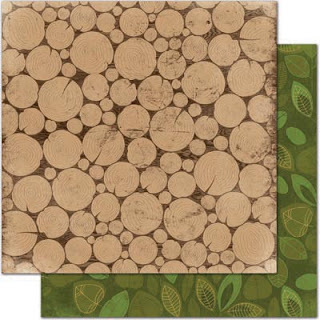 Love the log paper and the acorn brads! Oh my gosh look at those raccoons! Need to have this! We camp now and I can see this collection working perfectly with our pics. The flowers are in such great colors! This is hands down, my favorite! I have years of camping pictures to scrap and can't wait to get this line to get started! We never camp, but I have a ton of other occassions to use this gorgeous layouts for! It's so cute and pretty! Love the colors and designs. It would be a great collection for all the vacation photos I am trying to get caught up on scrapbooking. Love the papers, but all the embellishments are great, too. And I mean all!!!! what fun! My favorite are the trinkets, jewels, layered chipboards, album, chipboards, brads, buttons ... everyone! What a great line. I love the embellishments. Camp-A-Lot is my favorite by far. I love it all!! Cute collection! There are some really versatile patterns in there! 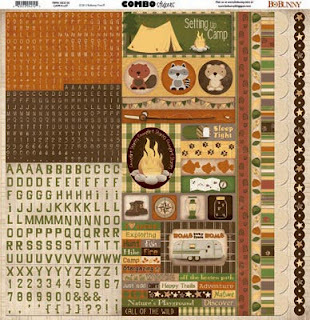 Camp-a-lot is definitely my favorite, can't wait to get my hands on it!! 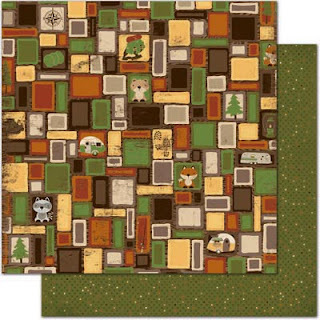 I really like the colors in this collection & that little raccoon is too cute. 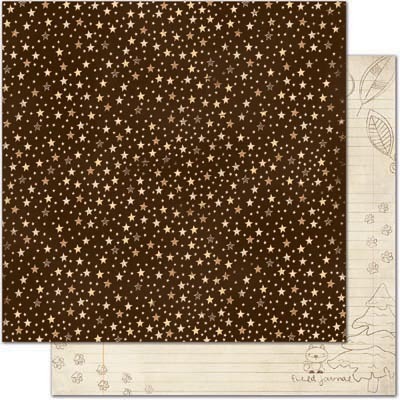 Fireflies paper, oh my, so cute! My fav is Hello Sunshine!!! The trinkets are sooo cute!! What an adorable collection!! I do camp, and I have camping trips planned this upcoming season. We do ALOT of camping and living in Florida, we have all year!!! So you know I have a lot photos that would be prefect for this collection!! It is sooooo darn cute!! Oh this very cool.Love it! !Colours are great for outdoor!! That's a tough question, but my favourite line is "Little Miss", but really really closely followed by Camp-a-lot. I love the firefly paper!! Great papers even if you're not a camper. Very cool. Perfect for photos at the cottage...which we are going to this weekend. The Camp A Lot is my favorite. We have a lake cabin and I can think of so many pages to do with this paper! Love it! This whole collection is a must have! My husband and I go camping in the mountains almost every year!!!! Thank you for the chance to win! I love the lightening bugs.......that camper album is just way too cute. I want a real one of those. I'm not kidding, this is my ALL TIME FAVORITE Bo Bunny line! I love love love to camp. 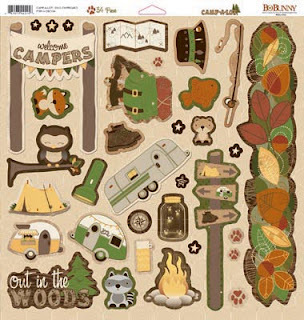 The paper with the trailer and other camping things is my favorite, although I also love the slices of wood, animal tracks, etc.! SO cute. I love this line! A mom of boys looks for this type of line, all mud, grass stains, bugs and such. I am so ready for camping! This collection would be perfect! Thanks for the chance to win. I love them all, but I must pick Hello Sunshine as my favorite of the three. Just love those colors and can't wait to get some. Thanks for the chance to win. great collection for the outdoors! I love it! Camp A Lot is so very cute. 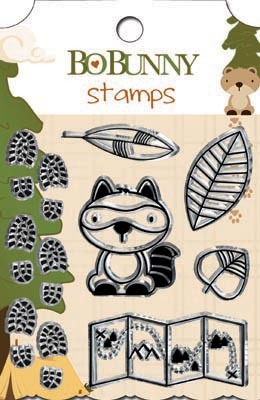 I really like the stamp set because it has the map, and the cute animal. 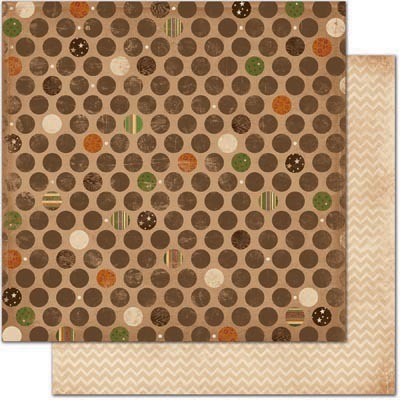 But the paper is adorable, as are the chipboard pieces. I'm afraid this is my favorite BB collection to date. I love this gorgeous collection. Its perfect for so many differebt types of pictures. oooh, love! Hiking for me! Great line. Love the Camp-A-Lot the best! After having to buy a new car my scrap budget has been severely cut... so I sure hope I win it!! What a cute collection. 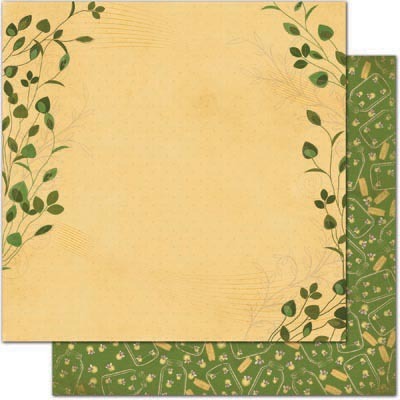 The papers are great and the embellishments are beautiful. I would love to win this set. Thank you for the chance! We geocache outdoors! I'd LOVE this line! Aw! Super cute! It makes me want to go camping! This line is so perfect for our our hike photos that I need to scrap. That stamp set is way cute! Thanks for the chance to win such a fun line! i absolutely LOVE this set. From the starry skies to the tents, everything about camping is there to really highlight my page. I love this line, our family camps several times throughout the year as well as half the summer! So I have tons of photos that I could put on these beautiful pages! Love the fireflies and the cute animals. Can't wait to get my hands on a kit! Omygoodness... how ADORABLE is this COLLECTION!?!?!?!??! LOVEEEEEEEE it!! LOVING that firefly jar paper!! This is an incredible collection. Not sure if Hello Sunshine or this one is my fave. Too close to call. OMG I love this line! Great stuff, this is my favorite! hello Sunshine since it is so bright and cheery. Living in the Pacific Northwest, I can see lots of opportunities to use this great collection--it doesn't have to be just for camping. The Mini Album looks adorable--love the trailer and the fireflies. As always, great job Bobunny. Petals!! I loved the Petals with past collections and was afraid you'd done away w/them so glad to see them in a new Collection! this line is so adorable,I can think of many uses for this line, not just camping. My grandson is in the cub scouts, this would be souper cute with some of his pictures! Love the colors and details in this collection for sure!!!! Too cute! So excited! When does it ship??? 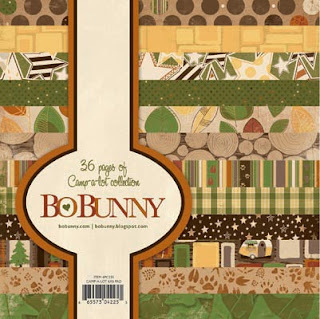 Bo-bunny has done it again with the campy yet perfect camp-a-lot! It will bring out the camper in you it sure does for me and the boot track stamp is my fav not only can you use it for camping but, my hubby (in the military) wears those boots every day to work ahh the cards and layouts are bursting out of me. THANK YOU BO-BUNNY FOR DOING ANOTHER GREAT SPRING LINE!!! But is no real surprise it’s BO- BUNNY! So cute! Our family loves camping and this would be perfect to scrap with! Love the beautiful colors and designs! oh tons of fun with this line! Hard decision to pick a favorite of your latest releases - I would say camp a lot is my fav with Hello sunshine a very close second. Love that line, especially the cute stamps. 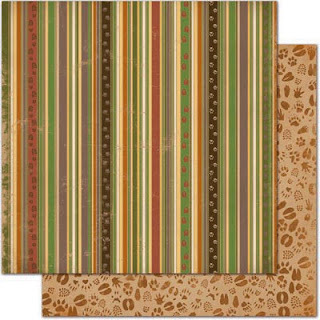 I love the earthy colours! Great collection! 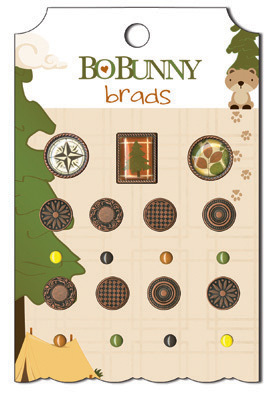 Awesome collection- great colors for outdoors and such cute animal faces. I am going camping at the end of June and this line would be perfect to scrap my photos! This camping line is great but I love the Hello Sunshine line the best. What a great new line. Love it and cant wait to get some. I love this line! The camping line is perfect for my Yellowstone vacation! We are taking our kids camping for the first time this summer and this line is perfect. I absolutely love the trinkets! They are so adorable. I absolutely love this line, but of course Bo Bunny is my favorite line of paper!!!! Keep them coming. My son is a scout and this line will be perfect for so many of the events he has been to...thanks BoBunny! 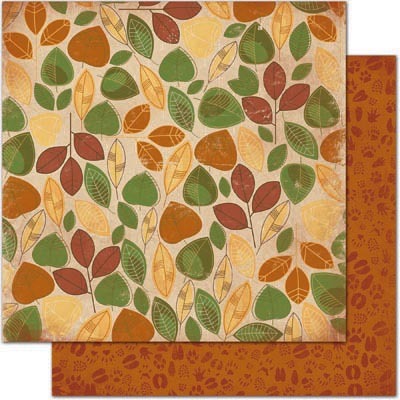 What great papers and embellishments. I love the stamps. Luv it all! Especially the stars, stripes, and dot paper! Too cute! Must have - a versitile collection!!! So cute!! I love woodsy stuff! Great job Amy! I love hiking! And the outdoor theme is just terrific! I have perfect pictures for this paper line. This line looks like so much fun, i like the die cut 'my family tree is full of nuts'and the trinkets are well cute. OMGosh - love, love, love this new line and would love to win the collection. My husband and I own a campground so we obviously "Camp-a-lot" and this collection is perfect for the hundreds (oops scratch that) thousands of pictures I have taken at the campground. Thanks for the opportunity to win and if I don't win it I will be buying it. This is the cutest camping line I have seen. LOVE LOVE the colors and embellishments. I still have Boyscout camping pictures (my son is 21 now) that this would be perfect for! Camping and being outdoors has always been a big part of my family's life. I look forward to digging out some of my own childhood pictures to use in this collection. AHHHHH! This is fantastic! The firefly paper and then the big stars and…and…it just kept getting better and better as I scrolled down!! LOVE IT!!! We don't camp-a-lot BUT we do spend lots of time outside and we live in the woods---so LOVE this line! SO=o fun-love the fish charm! My daughter and her family camp and it would be so much fun to make her an album with the camp-a-lot paper and embellishments. I would love to be the winner! Val from IL. I actually NEED this collection! 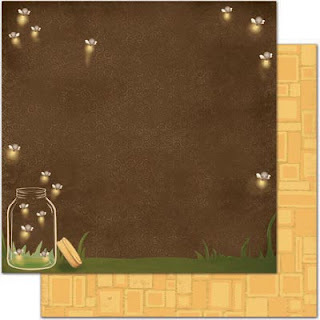 I have tons of girl scout camping pix still to scrap and I have a nephew who wants a tattoo of fireflies and a jar so I need that for a card for him! I'm calling my LSS right now! That is amazing. Don't think I have seen papers like this before. And would be good to scrap from my sons camping with his local Beavers group!! WOAAAH!!! Love that little camper chipboard album! Camps-A-Lot is a wonderful line...makes me smile! So stinkin' adorable! I can't wait to get my hands on these goodies! This is a super cute collection!!! I have tons of camping pictures and would love to win this collection! Wow this is such a gorgeous collection!!! Really like the paper with the firefly's it's so D...Cute!! Way to go Bo Bunny!! let's go camping ! lol ! it's a pretty natural line ! I love this collection too. The releases are wonderful ! I am going to say that I love all of it.. 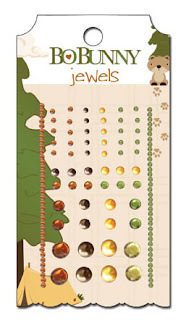 I do alot of outdoors activities in the summer and this would be perfect to finish all my pages and do cards. Love it!! Camping and outdoor activities are a family tradition and I have so many photos I need to scrap. I see so many uses for this collection. I especially love the firefly page. Its Stunning collection,All off these are showing their expertise. Now is a great time for hiking. Haha Perfect! And I have plenty of nutty camping pictures of my family to use with this line! When does it go on sale?? SO LOVE THIS ONE! HAVE A TON OF LIVING IN CAMPER LAST SUMMER -- CAN'T WAIT TO GET THESE! Beautiful Papers! I love the most papers, brads, trinkets, flowers and rubons. Wow! I absolutely love this adorable line and it's versatility! 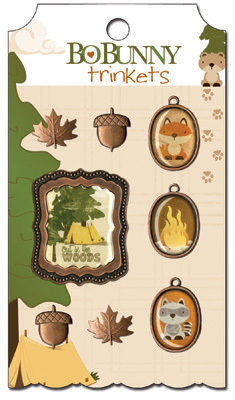 You can use it for nature/zoo/masculine/ and night themes besides just camping! And of course the little animals just rock! 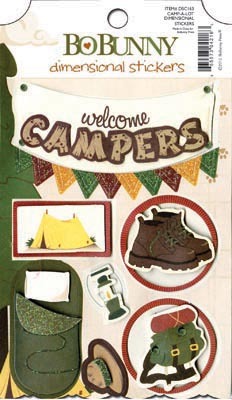 I love the camping collection - especially the jar of fireflies - so cute! Love this, can't wait for it to be released to I can scrap it up in my camping album! Absolutely camp-a-licious! What a FANTASTIC release!! My husband and I camp quite a bit with my grandchildren. I am already imagining AWESOME scrapbook pages using these papers and embellishments!! I love this line. I scrap all our camping trips. Bo Bunny, you're the best! Love, love, LOVE this camping line. I can't wait to go to the scrapbook store tomorrow and pick some of it up.